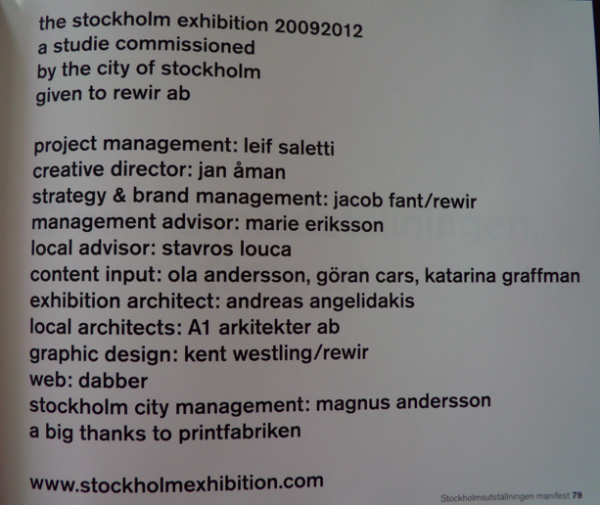 The book about Stockholm Exhibition is here. It describes what the exhibition is all about: ”A full scale laboratory for the global urban future. A temporary utopia that will produce real change and transform a segregated suburbia in Stockholm, Järva, into a model for global urban future.” The vision is to step from the modern world to the global world of today. A lot of well-known persons will work with this project and make it happen. Inculture will help with content input. The future of the city will also be discussed at Stockholm Futurama, with for example Alexander Bard, Jan Åman and Inculture.